This is a 240GB Mercury Aura Pro Express Solid State Drive for the 2010 edition of the Macbook Air. 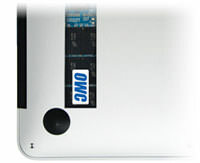 OWC offers nearly 3x the capacity over the maximum available factory SSDs. More OPTIONS choose from 180GB, 240GB, or 360GB models.